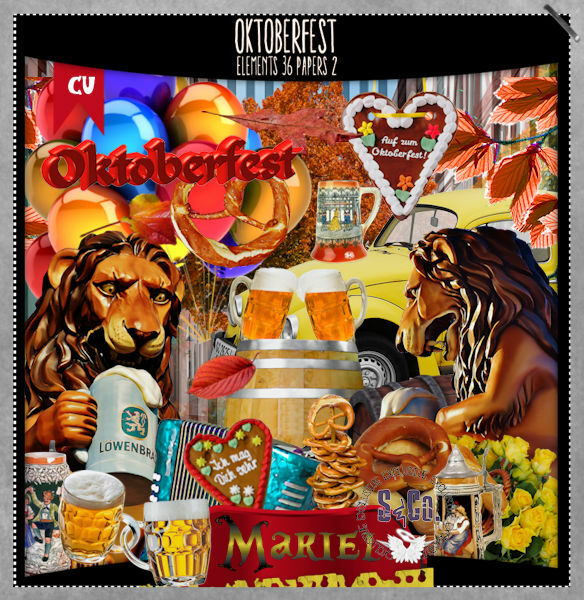 This gorgeous kit, Oktoberfest is a CU mix that can be used for the fest theme. It has 36 elements and 2 coordinating papers. You can get this gorgeous kit exclusively at Scraps & Co.